A model of Lido Boulevard, the multi-billion ringgit integrated waterfront development project along the Tebrau Straits, Johor. JOHOR BARU: Berjaya Assets Bhd is now in the midst of taking over the development of Lido Boulevard, the multibillion ringgit integrated waterfront development project by Central Malaysia Properties Sdn Bhd (CMP). The exercise is likely to be completed within the next six months, after which work on the project is expected to start almost immediately after being delayed for quite sometimes. “It (the project) will be in a better hand with Berjaya Assets handling it in terms of project management and the most important thing is the strong financial backing from Berjaya Group,” a source told StarBizWeek. The source added apart from the strong financial backing from the conglomerate, Lido Boulevard would benefit from Berjaya’s marketing experience to market the property to local and foreign buyers. The flagship project by CMP, a company linked to business tycoon Tan Sri Vincent Tan Chee Yioun, is a joint-venture between CMP and Johor State Secretary Inc. The latter is an investment holding company of the Johor state government, which is also the land owner. Tan owns 60% equity in CMP while the remaining 40% is held by CMP managing director Datuk Chan Tien Ghee. Both Tan and Chan made headlines recently when they bought over the Welsh’s Cardiff City Football Club. CMP had in March this year awarded a deal worth RM238.6mil to the Belgium-based dredging company Jan De Nul to carry out reclamation works on the site. The works would take about 15 months to complete, once completed; about 38.11ha would be reclaimed land while 11.39ha would be on a piled concrete desk. According to Wikipedia, major projects realised in part or whole by Jan De Nul include the expansion of Panama Canal, Australia’s Port Botany expansion, the Manifa Field Causeway and Island project in Saudi Arabia, the Palm Jebel Ali artificial island in Dubai and the adjacent Dubai Waterfront. “Jan De Nul has set an office in the city (Johor Baru) but the reclamation works have not started as schedule due to the takeover exercise,” said the source. About 6.8 million cu m of sand sourced from Teluk Ramunia on Johor’s southeast is needed for reclamation works. The sand will be transported by a dredger anchored at Stulang Laut near the Causeway, then pumped to the site via a 2km floating and sunken pipeline. Located on 49.51ha, the project will be developed in phases stretching 2.4km along the Tebrau Straits from the now the defunct Lot One shopping complex to the Harbour Master’s office. The project comprises four main components – luxury condominiums, waterfront office suites, a hotel and a shopping mall. 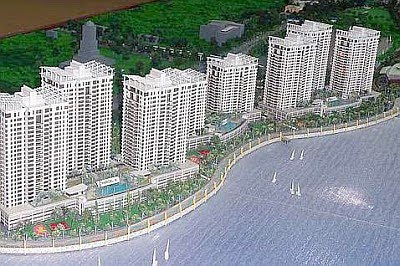 Lido Boulevard, with a gross development value of RM4bil, is expected to take shape by 2016 and it will completely rehabilitate Lido Beach and give Johor Baru a facelift. Two things stand out among the Top 10 freehold condominiums around KLCC - the wide disparity in capital values of those who made it to the ranks (the top 2 are worth more than two to three times than the tenth ranked) while it drives home the point that branding and specific site, even if in the same vicinity, can make a huge difference. In June, when it was reported that a tycoon listed on Forbes had purchased a penthouse on The Binjai On The Park for RM38mil, many were agog at the price these new luxury condominiums were fetching. In fact, this particular transaction set the record for the highest single residential property ever transacted in Malaysia. Even on a per square feet (psf) basis, The Binjai on the Park, developed by KLCC Holdings, has broken the record; one of its standard units on the auspicious 38th floor was sold for RM2,900 psf or RM10.6mil. A strong indicator that living in KLCC has become more attractive, says Property consultancy Knight Frank managing director Eric Ooi, is that more tycoons are acquiring penthouses in condominiums in the vicinity. Over the past five years, the demand for condominiums in the KLCC area has been geared towards lifestyle condominiums. The earlier condominiums emphasized on space, bigger and better facilities. Good examples are Selangor Dredging Bhd’s (SDB) Park Seven and E&O Bhd’s Dua Residency. “We were the pioneers of lifestyle condominiums five years ago when the concept was still very new. Now the new opportunity could be in luxury-lifestyle products,” says E&O executive director Eric Chan. In the last one year however, demand for luxury condominiums of a different kind have been on the rise. These units offer the most spectacular views, are designed by famous international architects and have top-quality designer finishes and fittings. Examples are The Binjai on the Park and Troika. Generally, while prices for real estate are heading north, there seems to be a new pricing phenomenon taking place with certain condominiums around KLCC. According to Bandar Raya Developments Bhd chief executive officer Datuk Jagan Sabapathy, one should not use the normal parameters of supply, demand, comparative valuation and yields to explain the pricing power of luxury real-estate products such as The Binjai On The Park and Troika. “For these sort of luxury condominiums, there are only about 500 units. These units are catered more for the top five percent of society,” he explains. Both The Binjai On The Park and Troika offer 24 hour concierge service, delivery services from the shopping malls and even the booking of flight and concert tickets among many others. “We are working with Suria KLCC, Mandarin Oriental and Traders Hotel to continuously improve our residents’ experience of the KLCC lifestyle. For example, residents gets priority treatment from Petronas’s newly operational Prince Court Medical Centre, which is just 5 minutes away, for any healthcare services.” says KLCC Group of Companies Group chief executive officer Hashim Wahir, adding that it is in a class of its own. WestMont S.A. Properties senior negotiator Chris Teng says that the price of a condominium in KL depends on address, location and quality of facilities. 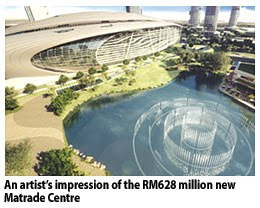 “The closer you are to the KLCC development, the value goes higher. The reason why The Binjai on the Park commands a premium is because it has a permanently unblocked view of the Petronas Twin Towers. “We know for sure there will be no developments in front of The Binjai on the Park. A lot of the other condominiums have potential developments that could block their view, so this affects their pricing levels,” he elaborates. Zerin Properties chief executive officer Previndran Singhe points out that there is a residential enclave forming in the KLCC area. “With the KLCC maturing over the years, the residential enclave seems to be establishing on Persiaran KLCC where The Binjai on the Park is located, across the KLCC Park and not too close to the commercial activities around the Petronas Twin Towers and Suria KLCC. “Apart from having the best address ‘Persiaran KLCC’, this side is greener, less congested, quieter and has more commanding views. A residential cluster is a lot more effective in attracting more families, both locals and expats, to shift to KLCC,” he says. As it stands now, the take up rates for The Binjai on the Park and Troika are 70% of 171 units and 85% of 229 units launched so far. KGV-Lambert Smith Hampton Sdn Bhd director Anthony Chua says these days, condominiums are more owner occupied compared to the past. As such, there is more emphasis on quality of finishings and unique features that set them apart from other condominium developments. SDB managing director Teh Lip Kee says that Park 7’s success is due to its location and high emphasis on delivering services. Park Seven has a occupancy rate of 95% and are mostly expatriates. “These are people who walk to work, whether in Shell, Tan & Tan Developments, the Twin Towers or KLCC,” she says. Jagan says that while Troika does not have the locational advantage of The Binjai on the Park, it still has a great view of the Twin Towers and the Royal Selangor Golf Club. It is also near the KLCC Park. “We knew we had to do something special. We had a great location and branding, but how do we create superior value? “The positioning of Troika is in its enduring value. The Binjai on the Park may have the primest site, but our building has the Wow factor,” says Jagan. Chester Properties Sdn Bhd senior negotiator Nathali Tan adds that luxury condominiums are today considered high-class bungalows in the sky because of their size and exclusive features. “These condominiums are spacious with built-ups of almost 4,000sf excluding space for pools, tennis courts, gyms and have private lift lobbies, very tight security, concierge services and are well maintained,” she adds. Petronas, via KLCC Holdings Sdn Bhd is the developer of the entire KLCC Development, that is today’s Malaysia’s global landmark. The KLCC masterplan includes the Kuala Lumpur Convention Centre, Suria KLCC, Mandarin Oriental, Traders Hotel, ExxonMobil, The Binjai On The Park and of course the Petronas Twin Towers. The 88 storey Twin Towers designed by renowned world architect Cesar Pelli, has been the iconic skyline landmark of Malaysia since 1997. 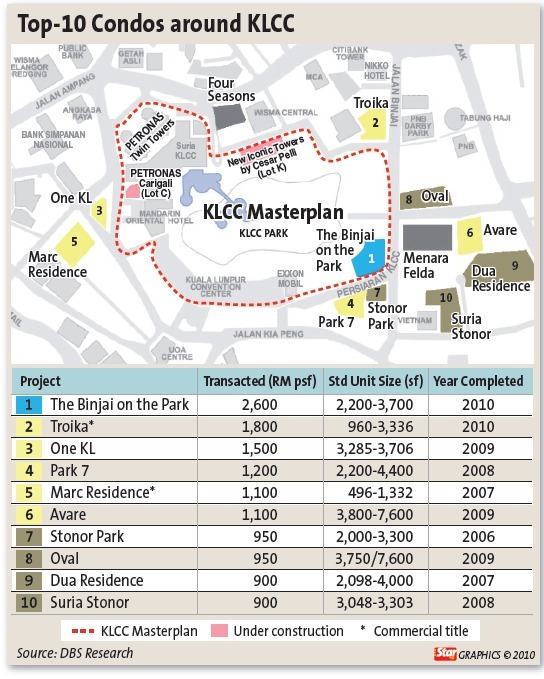 Interestingly, The Binjai on the Park, developed by KLCC Holdings, is the only residential property within the KLCC development masterplan. The design of The Binjai on The Park was to give residence of the condominium the most commanding views possible of the iconic Petronas Twin Tower. That is why, the condominium was strategically placed diagonally across the towers on a corner lot of the KLCC Park. “There are many condominiums around KLCC. But there is only one KLCC condominium, which is The Binjai on the Park,” says KLCC Group of Companies Group chief executive officer Hashim Wahir. He says most international top class condominiums can only offer either city skyline views such as the apartments in The Peak, Hong Kong, or be part of an iconic development such as Burj Khalifa in Dubai or Roppongi Hills Residence in Tokyo or those overlooking sizeable parks such as Hyde Park in London or Central Park in Manhattan. “From that perspective, The Binjai On The Park is the only one in the world that offers all these three. It has the most commanding views of the Petronas Twin Towers and is located right on the KLCC Park. “We have a city within a city,” he says. Hashim says there are more developments being developed under the KLCC masterplan over the next seven years. “Cesar Pelli, the designer of the Twin Towers will be back in Malaysia to design two more towers which will forever change the skyline of KL. “Malaysia is going to have two more iconic towers reshaping the KLCC skyline,” he says. There used to be a time when landed properties, not multi-storied dwellings such as condos, were most sought after homes in Kuala Lumpur. While this may be true still to some extent, increasingly, high end condominiums are becoming the preferred choice for the affluent. The first condominium in the country was Tan & Tan Development Bhd’s Desa Kudalari in 1980. Back then, one of Desa Kudalari’s main attractions was that its residents could view the horse race at the nearby Kuala Lumpur racecourse. The racecourse is, of course, today, the KLCC Park. The dynamics changed with the arrival of the Twin Towers in 1997 and condominiums started to spring up. First, Stonor Park was developed in 2003, followed by Dua Residency in 2004 and then Park 7 in 2005. Notably, condominiums within close vicinity of KLCC began to fetch high prices. Even so, it would be difficult for other projects to fetch similar prices as the units in The Binjai On The Park. Only the planned Four Seasons has the potential to set new benchmarks because it has a strong global brand and is known to have a very aggressive pricing strategy for its properties. “New luxury condominiums around KLCC could be launched at RM1,800 to RM2,300psf. But (relatively) “lower-end” products around KLCC range from RM1,000 to RM1,500psf,” says HwangDBS Vickers property analyst Yee Mei Hui. SDB managing director Teh Lip Kee says there is no property bubble in sight. Prices are going up simply because cost is going up. “Furthermore, most of the demand are coming from the locals. Foreigners are not really buying yet. Also, not all developers are doing well. Only those with branding are doing well,” she says. Datuk Jagan Sabapathy ... The emergence of luxury condominiums marks a shift from the traditional suburban living to condominium living in KL. Bandar Raya Developments Bhd chief executive officer Datuk Jagan Sabapathy says that more importantly, the emergence of luxury condominiums marks a shift from the traditional suburban living to condominium living in KL. “The condominiums in the city is not just for expat living. There is a huge and growing segment of young people living in the city who are well paid. There are also many well heeled parents who are buying homes for their kids. And they will pay for a luxury condominium,” says Jagan. He adds that there is a shift among the young who want to live a ‘happening life’. As such, in the coming years, he foresees the heart of the city being the heart of life. “People now choose to live in the city because of the convenience and better quality of life. There is no need for them to drive through the nasty traffic daily. 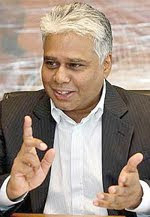 Between a RM1mil home in the suburbs compared to a RM2mil condominium in KL, more may choose to live in KL,” he says. Apart from the convenience and lifestyle factors, Jagan says there is also the ‘empty nest factor’. “These are people whose children have left, so they want security. They don’t want to be bothered with the maintenance of the garden, the pool and the general upkeep of their homes. They want an easier life where they can travel anytime they want. Condominium living actually makes this easier,” he elaborates. “When the Government is successful in making downtown KL even more liveable, this trend of living in KLCC will get stronger in the years ahead,” says Jagan. Not surprisingly and generally speaking, most realtors concur that there is an oversupply of condominiums in the KLCC vicinity. For this reason, property valuation firm, VPC Alliance (M) Sdn Bhd managing director James Wong says he is neutral to negative on the condominium situation in KLCC as he believes the situation could only get worst unless the government jump starts the economy with more foreign direct investments and mega projects. Having said that, many say there is still room in the premise for niche products. “There are many condominiums coming onstream together. Not all do badly. There is a difference between the developers that are able to sell, and those that are not able to,” he says. With that, the new condominium launches that stand a higher chance of securing good take up rates are those that have strong distinguishing features. KGV-Lambert Smith Hampton Sdn Bhd director Anthony Chua says there have been no new launches of condominiums in the KLCC area in the last two years due to the global financial crisis and oversupply situation. In fact, in some instances, Chua says condominiums that were bought at RM2,000psf, and are now being sold at RM1,500psf. “These units tend to be large with poor layout. The problem was that some of the developers over-marketed and over-priced their condominiums. So sometimes it’s wise to buy completed projects to actually see what you are really buying,” he says, adding that there is more activity in smaller-sized condominiums which are relatively more affordable. To buy a good condominium, Wong says to first look at the strength and reputation of the builder to ensure that the developer is financially strong to complete the project even if there is a sudden economic downturn. Secondly, ambience is important. Good developments have comfortable surroundings or good themes, and not a busy street with noisy ‘night clubs’ in front of it. He added that investors also need to pay attention to the quality of finishings and the facilities offered. Even so, CIMB Research head Terence Wong still sees opportunities in condos around KLCC. He explained that prices of condos at Mont Kiara have caught-up with prices of KLCC. But land near KLCC is significantly more expensive and scarce than in Mont Kiara. According to DTZ Debenham Tie Leung (M) Sdn Bhd executive director Brian Koh, the issue of oversupply is more prevalent in the rental market. On this note, he says it may be easier to rent out smaller units of less than 2,000 sf as the oversupply involves those between the 2,500 and 3,500 sf range, which rental are generally higher than the housing budget allocations for expatriates. Many lament that rental rates for condominiums around KLCC have been stuck at RM4 to RM6psf per month for the past the three to five years. Chester Properties Sdn Bhd senior negotiator Nathali Tan says these rates are more applicable for condominiums around KLCC that were launched at RM700 to RM1,000psf levels five years back which are sizable but with basic designs and finishings. On the other hand, Terri Har, marketing and sales manager of Layar Intan Sdn Bhd says that the recently-completed The Binjai on the Park has started to pull in tenants at RM7.50 to RM8.50psf per month, setting a new benchmark in the rental market. Even as certain top-end condominium units have been sold at hefty prices, the general rental market in the KLCC vicinity has remained somewhat sluggish. Furthermore, given the expected fall in the number of expatriates in the country, real estate consultancy Rahim & Co executive chairman Datuk Abdul Rahim Rahman says the rental market in KLCC may not improve in the next two years while prices could also fall as owners come under pressure from their financiers. “This may lead to some of these owners off loading their properties at a discount,” he says. However, quality projects in exceptional locations with good branding and developers with strong established records in high-end development will fare better, enjoying strong demand from investors, owner occupiers and tenants. Even so, Rahim expects some moderate price appreciation of around 10% yearly, in spite of falling rental yields, as investors are now focused on capital gains. “The days of high rental yields are over. This in itself is not necessarily a negative thing. It is a sign of a maturing market,” says Rahim. The market in the first half of this year, he says, has been sluggish compared to the heady days of 2006/2007 when prices in the KLCC vicinity rose to hitherto unseen heights. Rahim adds however that the market has bottomed out and is now in recovery mode, with asking prices ranging between RM850 to RM1,700 psf. But the rental market is still soft; the average rental is dropping by 13% from RM4.88 psf in December 2008 to RM4.23 psf in June 2010. Having said that, Rahim says developers are more optimistic now compared to last year and have started reviewing their development proposals. According to him, there are about 7,000 units currently in the KLCC core area bounded by Jalan Ampang, Jalan Pinang, Jalan Kia Peng and Jalan Tun Razak. Malaysia's property sector is set to see its biggest residential boom in a decade, led mainly by medium- to high-end landed properties, says a research firm. The sector may peak sometime in 2012/13 before going into a potential slump, OSK Research Sdn Bhd said. OSK Research said a major mass housing boom will likely occur in the first half of this decade. It added that the sector was already entering the early stage of a property "super cycle". "Although the expected peak in 2012/13 may have dire consequences, the phenomenal boom that immediately precedes it gives investors an excellent opportunity to profit from the trend for at least the next 12 months. "We, therefore, seize the opportunity to upgrade our property sector call to overweight from neutral," OSK Research said in its research note to investors yesterday. Although location is key to identifying real estate opportunities, what is equally important but often overlooked is timing, it added. It noted that the current 20-year boom in the medium- to high-end residential properties since the early 1990s might peak in 2012/13, after which mass affordable housing could dominate the real estate industry around 2015/16. Stocks with focus in the medium- to high-end segment, such as Sunrise, YNH Property, IGB Corp and Bandar Raya Developments, are some of the best bets for the next 12 months. "Mass housing developers, especially the 'fallen angels' such as LBS Bina and MK Land, may come to the fore as another major investment theme after that," OSK Research noted. For "best of all worlds" exposure during this period, OSK Research recommends buying SP Setia. It said the country's current boom in higher-end residential properties is probably in its longest "bull run" ever, spanning almost two decades since the early 1990s. "This, unfortunately, has also given rise to the illusion of the infallibility of properties. We are now entering the final phase of this secular boom, which will be characterised by a period of fast-rising property prices in the medium- to high-end residential segment, particularly landed ones." OSK Research observed that those born in the 1950s had become more risk-averse in their investments since 2003/04. "As they approach retirement, they will divert a significant portion of their wealth into savings and traditionally perceived defensive asset classes such as real estate. "However, their eventual absence may bring an end to the boom if there is no credible demand force to fill the void." Emkay Group senior general manager Mazrita Mazlan said the wealthy do not mind paying a little bit extra as long as the properties are away from congested towns. "As an example, MK Land (MK Land Holdings Bhd) will launch its Rafflesia high-end project, which has units starting at RM2 million apiece. "Already the project has sold 100 units even before its launch," Mazrita claimed. Mercury Securities head of research Edmund Tham said the boom will only benefit certain areas and selected developers. "When it comes to the so-called boom, it depends on who you talk to. I believe there is a property overhang project in Mont'Kiara and some buyers are facing financing problems." Independent property valuation surveyor Sharizal Supian said the trend right now is to go for boutique projects complete with gated communities and modern facilities and townships, such as UEM Land's Symphony Hill which saw units snapped up within days of its launch. "The boom, however, only benefits the rich and does not benefit the general public," Sharizal said. An Island & Peninsular Bhd executive said that only foreigners will benefit from Malaysia's property boom due to the cheaper ringgit. The Naza group, one of the country's biggest privately-held conglomerates, has terminated an agreement with Kumpulan Jetson Bhd to help build the new Matrade Centre for RM628 million. Jetson received a notice from TTDI KL Metropolis Sdn Bhd yesterday to terminate the shareholders agreement sealed by the two companies earlier. It would be seeking legal advice, Jetson said in a statement to Bursa Malaysia yesterday. Jetson and TKLM, owned by the Naza group, sealed a pact last year to carry out the planning, design and construction of the new Matrade Centre at Jalan Duta in Kuala Lumpur. Early last month, Business Times had reported that the Naza brothers may exit Jetson, barely 12 months after they took control of the company. By late August, however, Jetson told the stock exchange that it was not aware of any plan by key shareholders to sell their stakes in the company. Nevertheless, the uncertainties have taken a toll on the stock, which fell by some 24 per cent over the past 30 trading days to close at RM1.19 yesterday. On the surface, the termination of the agreement with Jetson lends more credence that the Naza brothers are moving towards an exit strategy. SM Nasarudin SM Nasimuddin said he will reserve his comments at this point of time. The Naza brothers, SM Nasarudin and younger sibling SM Faliq, bought 33.15 per cent of Jetson for RM12.3 million. The brothers, heirs to the Naza empire, had since then twice sought to buy out the other Jetson shareholders, while maintaining its listing status. Datuk Teh Kian An and his family members were the major sellers of the initial block of shares that allowed the Naza brothers passage into Jetson, their maiden foray in a public-listed company. Teh was the former controlling stakeholder of Jetson and is the current group managing director. Terminating Jetson from the Matrade project should not come as a big shock to the market as the writing was on the wall as early as last month. This was when Jetson ended an agreement with China State Construction Engineering (Hong Kong) Ltd to develop a 38-storey building in Kuala Lumpur for Naza TTDI Sdn Bhd. Business Times understands that in recent weeks both parties had moved closer towards bridging their differences. "A gentleman's agreement will be reached sooner rather than later," a source familiar with the matter said. It’s as predictable as clockwork. Any move by the Employees Provident Fund (EPF), unless it’s glaringly positive, tends to set off warning sirens. Much of it has to do with the fact that the employed, 12.4 million of them, have no choice but to channel part of their hard-earned savings to the fund, hence the perceived-right to voice dissent or concern. There’s also the “legacy stigma” that now and then rears its suspicious head, that the EPF, with its bursting wallet, may be acting in ways that are not in sync with the pillar on which it was set up almost two decades ago – to safeguard the people’s retirement monies. So, when it was recently revealed that EPF plans to tuck some £1bil (or 1.2% of its total investable sum) primarily into commercial properties in UK, the vibes were multi-pitch. Interestingly, the revelation was not voluntary. It was issued only after a press report by UK’s The Independent that EPF had awarded two global fund managers a mandate in relation to its plans to invest in UK’s real estate. No great strides there for EPF in terms of high disclosure standards. Following a query by StarBiz, the EPF said it made the decision as it views the UK property market as “stable and highly liquid” and one of the world’s largest property markets backed by strong laws protecting landlords. Still, concerns abound. Given the threat of a double dip recession in the UK, could this be a risky venture? And given the structural shift in economic power to the East, shouldn’t it be steering its money bag towards these markets? Armed with adequate foresight, perhaps it should consider investing in other growth industries instead? In the first place, should the EPF house our retirement savings in real estate, local or abroad? Because retirement plans are long-term investments by nature, it’s hard to get much more long term than real estate which generally displays better than average income characteristics. We could throw bonds into the same bucket of investment horizon but it has an expiry date and reaps relatively lower returns. Truth is, pit against other pension funds world over, EPF’s move to invest abroad and more specifically in property is hardly a mould-breaking strategy. Only, it’s a mould that the fund has yet to get a big foot into – just yet, that is. Major pension funds around the world are already in the act of diversifying their investments abroad while many are raising the sums invested in their overseas portfolios, be it in real estate, stocks or bonds. Some 7% of China’s national pension fund, which has about US$130bil in its pension pool, is locked up in overseas investments, which includes stocks, bonds and property. In fact, it is allowed to crank it up to 20%. South Korea’s national pension service, with US$250bil, has been on a buying spree, investing in real estate from Australia to the UK to diversify from domestic fixed-income holdings. It expects to boost its overseas investments to at least 20% of its portfolio by 2015 from 11% now. UK life and pension funds are estimated to have US$123bil, or some 7% of their total assets, invested in real estate. The pension funds in Finland and Switzerland are allowed to invest a greater percentage of their assets in real estate than in stocks. As the country’s single largest institutional investor, with over RM400bil (and fast ballooning), the EPF is clearly at an investment crossroads – what else to buy and how to raise yields; how to tweak its traditional bond/stock/loans/property asset mix to improve returns. It has done this to some extent. The fund has been steadily cutting back its investments in MGS over the years; from 41% back in 1995 and 35% in 2006, it now makes up 24% of its asset allocation. To address this dilemma, non-domestic investments such as property as an alternative investment class is hard to snub, especially since property investments represent a meagre 0.4% of EPF’s total portfolio, way below the allowed ceiling of 5%. Still, EPF needs to walk the thin rope of capital preservation and capital uplift. Real estate pundits in UK opine that the recent “mini recovery” in UK’s property prices in the past year after a difficult two years, thanks to a weak pound and cheap credit, may be waning while they expect the underlying fundamentals of the wider economy to reassert themselves. The prediction is for a choppy recovery in UK economy given the rising jobless data, fiscal tightening, higher taxes and credit squeeze, which in turn could stunt a recovery in UK’s property sector. EPF plans to invest in commercial properties, which means it is targeting rental yields but the lack of clarity of a sustainable growth could keep businesses in the sidelines. In other words, they won’t be looking for more office space. On the other hand, proponents of investing in UK’s real estate point out that the income return from such investments over the past 10 years has averaged 6.7% – no doubt, a sweet temptation for pension funds, like EPF, who are on the prowl. There’s more sugar where that comes from – UK’s well-followed Property Forum has forecast an income return of 7% for the next five years to 2014 from this investment class as it deems property values are still 36% below their peak. In short, there may still be bargains left for new investors like EPF. So, would you bet your retirement savings on that? Business editor Anita Gabriel believes in the “Law of Attraction” where thoughts influence reality. She’s thinking of including spectacular future dividends from EPF on her “Vision Board”! PETALING JAYA: The ringgit’s strength and generally lower property valuations in the UK are drawing more Malaysian investors, both retail and institutional, to London and the latest to make the move is the Employees Provident Fund (EPF). The pension fund has allocated a war chest of £1bil (RM4.88bil) to invest in properties in the UK and has appointed ING Real Estate Investment and Deutsche Bank’s property investment arm RREEF to manage the investment. They will each invest £500mil in European property markets, focusing on the UK. In a statement on Monday, the EPF said the investments would be for long term with expected annual yields of 6% to 7%. Property consultants lauded the fund’s move as being prudent and far-sighted as the diversification of its property investment portfolio would ensure a more balanced portfolio and spread the risks to more developed markets outside Malaysia. Henry Butcher Malaysia president Lim Eng Chong said London was a very active international real estate market where income asset class was a major sector of the financial market. “Since last year, there has been an influx of foreign funds from Russia, the Middle East and the Far East, including China, into London to take advantage of the positive environment,” Lim told StarBizWeek. London is also the financial capital of Europe and it is the de-facto choice capital in the EU for foreign companies. “It is a very opportune time to invest in the UK property market now. The ringgit is at record high against the pound sterling while the historic low interest rates in the UK (interbank rate is only 0.5%) make yields attractive,” Lim pointed out. He said commercial properties with strong convenants for at least seven years offered potential for upsides upon market recovery and there were deals which were bankable to capitalise on the low interest rates now. Malaysia Property Inc chief executive officer Kumar Tharmalingam, who was in London when contacted, said the EPF was a well-regarded pension fund internationally with a reputation for prudent investments. “London is no more a rock-bottom country but you have to have a permanent presence here to take advantage of investment opportunities. Using the old-boy network in the city of London that the EPF is doing is the right strategy. It has appointed probably the best property advisers and managers in Europe and I believe they will guide the fund to the right quality investments,” he said in an e-mail response. He said at the height of the downturn in early 2009, yields of London assets went up as high as 8% but they had since gone back to their normal base of 5%. “But with the pound sterling and the euro at historical lows since the mid-90s, this may be a good time to buy well-positioned assets where there is an opportunity for rent values and currency appreciation in the medium term,” Kumar said. It has attracted many institutional funds, including South Korea’s National Pension Fund which purchased a building in Canary Wharf and also took a stake in Gatwick Airport in February. Kumar, who made a quick check with some of the major property agents in London, said he was told an Asian sovereign fund had made bids for a business park near Heathrow Airport. Ireka Development Management Sdn Bhd chief executive officer Lai Voon Hon, who was also responding from London, said with Europe heading towards a double-dip recession, a number of prime commercial properties with blue-chip tenants in the UK would be available to investors at very attractive yields. “The advantage of UK commercial properties is that the lease is normally very long term so the income is fairly stable. As such, commercial properties with blue-chip tenants at high rental yields will be ideal for the EPF. The strong ringgit vis-a-vis the pound sterling is certainly to the EPF’s advantage,” he added. According to CB Richard Ellis executive director Paul Khong, with the strengthening of the ringgit, investors are now able to buy more with the same ringgit compared with a year ago. “The top favourite destinations for both institutional and individual investors are still the UK, Australia and Singapore markets,” he said. Since the beginning of 2009, many individual investors have purchased properties in Britain. The fact that the Employees’ Provident Fund is going into Britain as well poses some interesting questions. This is the first time the pension fund is going abroad to diversify its holdings which to date amounts to more than RM400bil. Its property investments is small compared to its investments in equities and bonds. Secondly, this is also the first time it is putting so much money into properties. Different parties have called on the pension fund to be circumspect. There is no doubt that it will be so. But considering that it is making such a significant move, it does seem odd that it is issuing just a statement that it will be investing £1bil (RM4.88bil) in British properties. Considering that the pension fund has 12.35 million contributors as of December last year, it would seem appropriate that the EPF issue more than just a statement. For many, their EPF contributions are their only source of income and they would want to know how the guardian of their monies will go about diversifying their portfolio in order to provide better yield. According to the statement, EPF is looking for yield of between 6% and 7%. This shows that EPF is very circumspect in its decision. It is not aggressive as some investors would want to have yields of 13% and above. > How is EPF going to invest this money? Why UK? > Will it be buying tangible buildings and take 100% control as landlord? > Or will it be buying real estate investment trusts (REITs)? > Will this £1bil be increased later on? > Is there a duration how this money – and additional investment – will be spent? > Will it be limited to UK? These are the broad macro questions. > If EPF is looking for office buildings, what sort of size, and where are these buildings located? London is huge, there is the financial district, known simply as “The City”. > Will it be core prime London or Greater London? What is the size of these buildings and who are the tenants? Contributors will also want to know the credentials of two parties appointed, ING Real Estate Investment and Deutsche Bank’s property investment arm, who will be managing the investment. Besides the questions on the how and what, contributors will also want to know what is the situation of the UK office market today. Incidentally, we already know the ‘Why?’ – to get better yield because the local property market has become too small for EPF. Besides, there is nothing to buy in the local market for an investment of that size and considering where the stock market is going, it is only wise to diversify to other markets and other asset class. Already, EPF is the main driver of Bursa Malaysia. That in itself poses a certain amount of risk. We certainly don’t want EPF to be the main landlord of Malaysian market as well. In fact, many may be welcoming EPF’s pro-active move to seek out “greener” pastures abroad as the British pound has depreciated considerably since the fall of Lehman Brothers in September 2008. Some may even ask, why now? One of the largest investors in London market is the Middle East market, the Qataris, Saudi and UAE. South Korean pension funds have also invested in the London market. So EPF is not alone. London is a very cosmopolitan city and because our history is linked to theirs, that would seem a clear choice over and above markets like Australia. At its peak, the pound was hovering around RM7 to £1 then. Today, it is RM4.80 to a £1. That’s a discount of 30% on the currency. At its peak, London’s financial district office market was about £700 psf. It is about £600 psf today. There are some buildings that are between £800 and £900 psf. Prime rents appear to have stabilised and this year is expected to see a sharp recovery in the leasing markets, driven by a shortage of Grade A supply, rather than a boom in demand. Investor demand for London offices is expected to remain strong this year. More assets are expected to enter the market, but not significant enough to stop prime yields from falling. Most of us would have known about the recession in Britain from the media and the possibility of Ireland going under. The fact that part of our nest egg will be going there puts a different perspective on the picture as we have an interest there now, far beyond a cursory one. So we would like some answers. > Assistant news editor Thean Lee Cheng wants EPF to give lots of answers, and contributors to take an interest in where their money is going because this is what financial responsibility is all about. 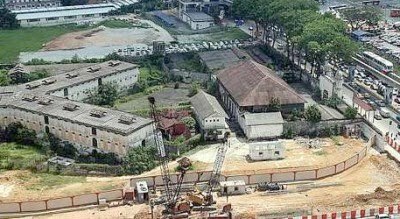 PETALING JAYA: Sunway Holdings Bhd’s unit, Sunway Developments Pte Ltd, and joint-venture partner Hoi Hup Realty Pte Ltd will pay S$165mil (RM384mil) to lease a parcel of state land from the Singapore government at Miltonia Close for 99 years to undertake a property development project. “The completion period of the proposed project shall be 72 months or earlier, commencing from Sept 2 and would contribute positively to the earnings of Sunway Group for the financial year ending Dec 31, 2011 onward,” Sunway told Bursa Malaysia yesterday.